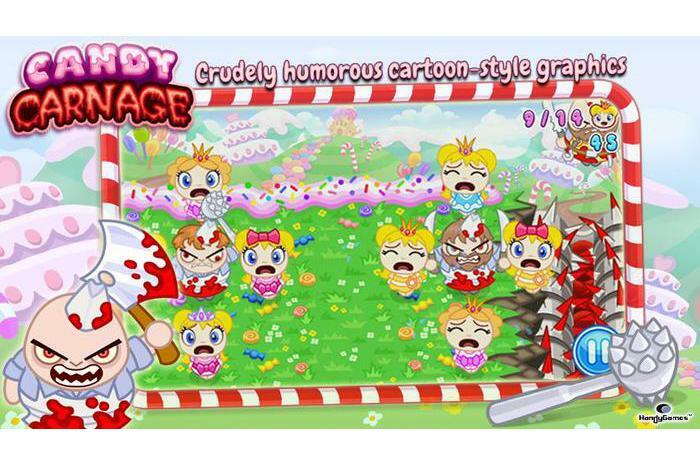 In the peace of the Kingdom of candy used to live a medieval princess, but one day, a gang of bloodthirsty butchers was furious, spreading fear and terror because of their thirst for fresh and bloodied human flesh! It is time to rewrite history and save the girls before they will end up in a meat grinder! 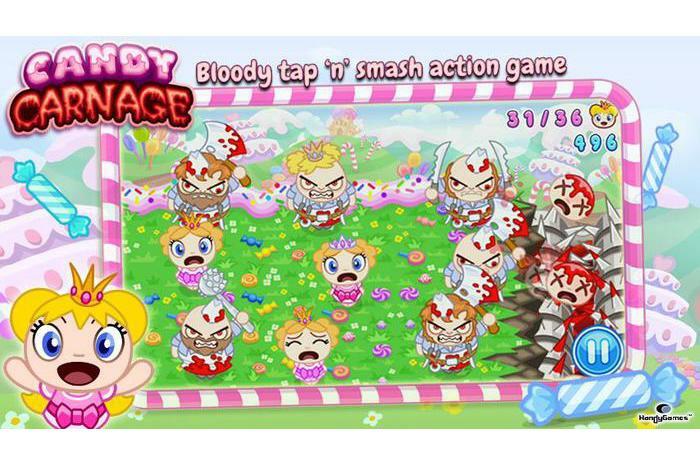 Show your skills in this fast and crazy bloody orgies and conquer hearts of the princesses! - Cartoon graphics with rude humor. 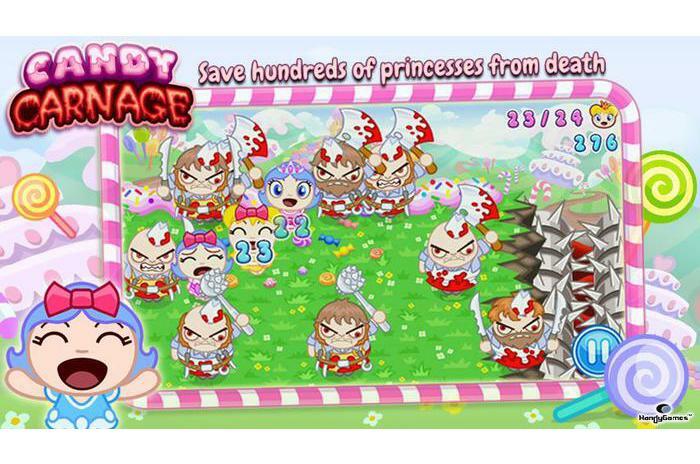 - Save hundreds of princesses from a horrible death. - Dozens of wild waves that need to be overcome. 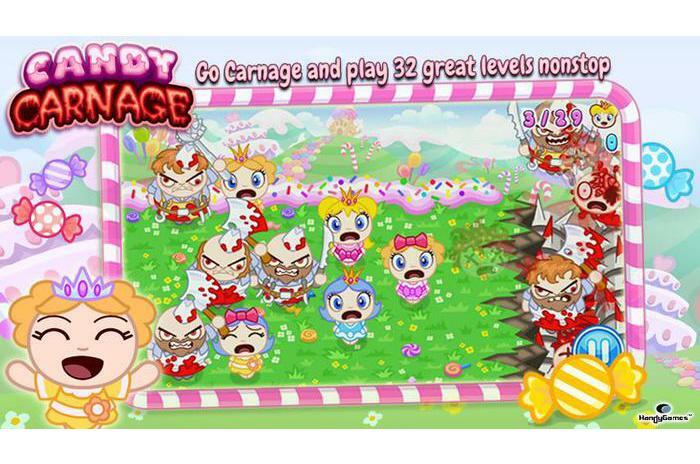 - Arrange the slaughter in slaughter mode and go through 32 exciting levels without stopping. 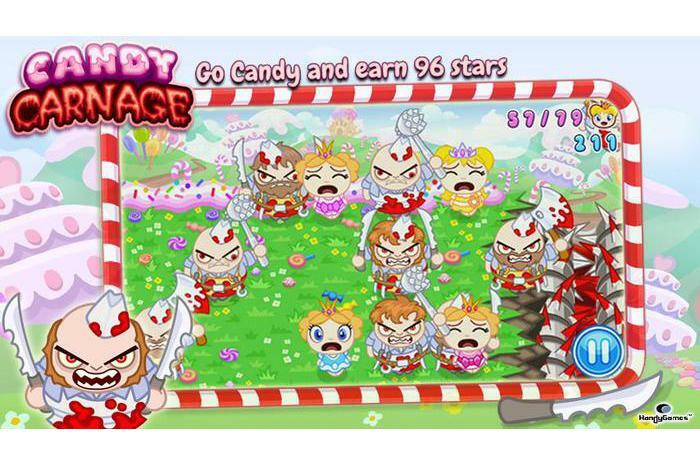 - Earn 96 stars in sweets. - Enjoy the fabulous sound track in the style of rock. 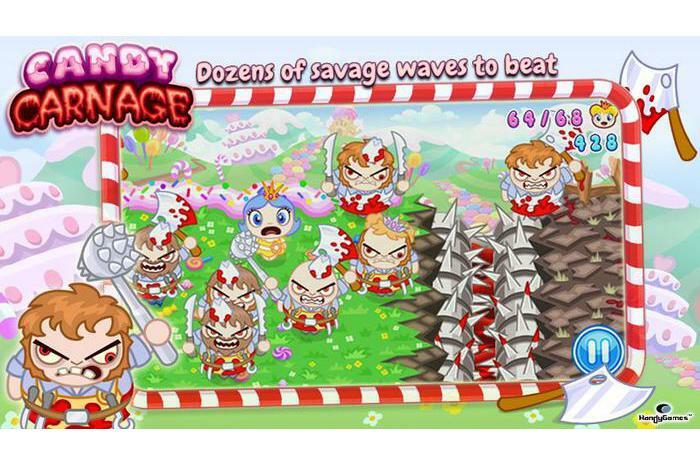 - Fierce battles with a bunch of points on OpenFeint.